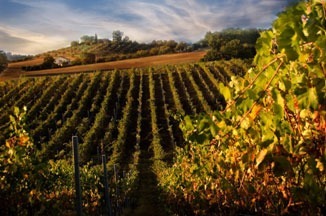 Half day Chianti wine tour: Greve in Chianti, Villa del Cigliano or Montefioralle Winery – 5-6 hrs. Prepare to be amazed with the Chianti countryside and perfect Chianti wines on this Chianti wine tour. 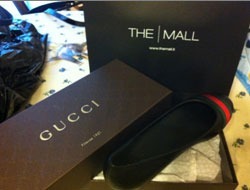 For those who are interested, add some outstanding outlet shopping. Our guide will pick you up in the lobby of your hotel for the drive to Greve in Chianti. The Chianti area is one of the greenest landscapes; dotted with farmhouses, villas and castles. Greve in Chianti is named for the river that runs through the town and is the principle town of the Chianti Classico wine zone. You will have some free time to walk around the market square, check out some village shops, and visit the largest wine tasting enoteca in the region. Tour option: I) Villa del Cigliano for a tour and a light lunch. The Villa del Cigliano has been in the Antinori family since 1500 and is located in what is commonly known as the Chianti Classico area of the Tuscan countryside. Built in the second half of the 1400 on existing medieval buildings and purchased by Alessandro di Niccolò Antinori that century, it still belongs to the descendants of Eleonora Antinori. The courtyard of the Villa is adorned with the coat of arms of the Antinori and the Tornabuoni families, commemorating the wedding between Alessandro Antinori and Giovanna Tornabuoni in 1513. You’ll feel like Italian nobility at this ornate villa and bucolic estate. In true Italian fasion, the current owner Anna Maccaferri and her daughter will make guests feel like part of an extended family. Included is a visit to the cellars and the estate, followed by wine tasting and light lunch. Tour option II) Visit the Montefioralle Winery and taste some classic Chianti wines. A tour of the vineyards is included. The vineyards are located at the southern foot of the hill of the village of Montefioralle in a soil that is rich in texture, mainly limestone, and has an excellent drainage capacity allowing the vines to push their roots deep underground. The territory of Montefioralle can be considered a real cru in terms of soil composition and microclimate. You will enjoy wines that are both unique and distinctive. The Chianti wine tour can end here or we can add a shopping excursion to the Outlet Mall in Reggello (a 40 minutes drive from the Villa del Cigliano). Here you will have time for some exceptional shopping. Located in one of the most beautiful Italian regions, the Mall is the preferred destination to shop for top – quality luxury brands at the best possible prices, with exclusive luxury brands. The brands offer men’s, women’s and children’s clothes, shoes, handbags, accessories, fragrances, jewellery as well as gifts and home accessories. The most prestigious brands are: Gucci, Valentino, Salvatore Ferragamo, Bottega Veneta, Burberry, Giorgio Armani, Fendi, Dior, Pucci, Yves Saint Laurent, Hogan, Tod’s, Ermenegildo Zegna.